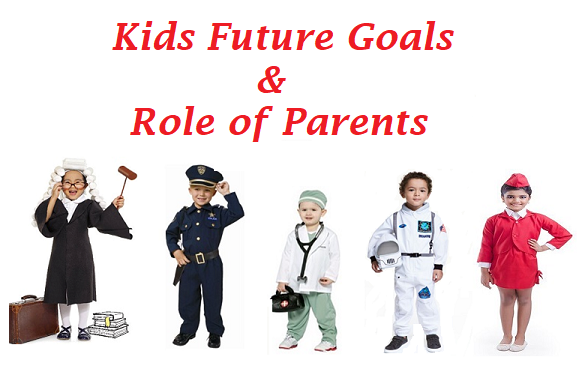 Future Goals are the building blocks of a child`s future. Every student should have the motivation and determination to achieve the predetermined goals within a given time. Parents and teachers have a huge role to play in guiding the students to explore their potentials and identify their goals. The benefit of a long-term goal is to set appropriate benchmarks, whereas short term goals make a student more disciplined. Self Confidence: Achievements builds their self esteem which molds them as strong human beings. Resilience: Kids learn to cope with the minor and major setbacks, which makes more determined. Perseverance: They learn to keep on trying and working hard until they meet their goals. Drawing a picture of what one wants to achieve in life is called a vision. Working hard each day to fulfill that mission is called an achievement. Kids should be encouraged to write down their short term and long term goals which would motivate them to work harder and better each day. Identifying a set of goals is an eye opening experience for the kids, and it rekindles a sense of enthusiasm in them. A vision must be fragmented and achieved in bits and pieces. Goals are not achieved immediately, they are done in phases. A student must be patient and consistently work towards achieving that goal. Keeping tabs of one`s progress is absolutely necessary to get an estimate of one`s position. Parents and teachers should make students think in a realistic way and try to confront their unrealistic goals. Kids should have the ability to understand that which plan is working out and which is not; they shouldn`t be doomed by failures nor be over exhilarated with success. Proper balance in life and emotions is the key to achievement. A good goal is a specific goal. Being totally focused in one direction is extremely important as it would help the student to achieve their goals and dreams faster. Students often tend to generalize their dreams, but it is the duty of the parents and teachers to educate them in choosing smart specific goals, one at a time. When families understand a child`s goals, they learn to support each other. This fosters a family environment based on cooperation instead of hostility. It reinforces the idea that although all people are individuals with their own unique interests, a family can work together and provide support and help to each other when needed. It is never too early to start setting goals. Thus, kids should be taught to make a note of their goals and make an effort each day, to achieve their dreams. Goals help kids to build resilience and cope with setbacks and mold them into powerful and disciplined leaders.